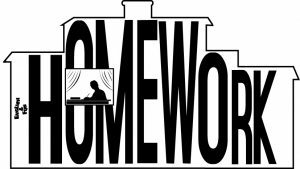 Homework – Do Your Students Do It? Looking at the results of a (somewhat crude!) 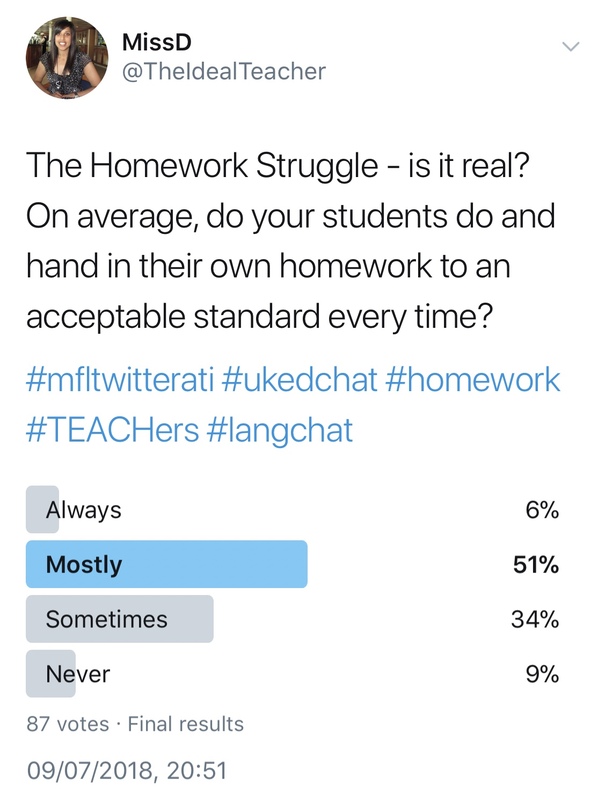 Twitter poll which I recently carried out, attracting 87 responses, if homework is an important component of education, why is homework only handed in to an acceptable standard and submitted on time to 6% of teachers? Homework is easy enough to set. 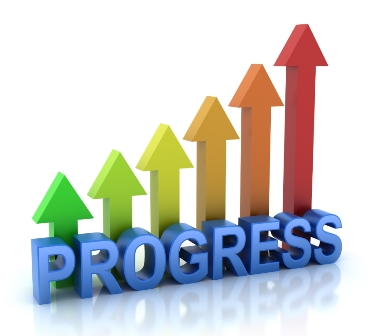 But, despite working in a Grammar school this year with a clear homework policy, getting students to do homework to a consistently adequate standard has been pretty impossible. I usually get random excuses and I tend to find that I spend more time creating the homework for French and German students, monitoring who has and who hasn’t done it, as well as putting SIMS entries in and following up the homework which hasn’t been done than I do marking good pieces of homework! This really drives me insane, especially since the students who actually do the homework properly/themselves are clearly participating better in lessons, but also producing work which is helping their ‘official’ test and exam scores during the year. I really feel that I am wasting my time on setting homework to classes where only a minority put the effort into completing the work. 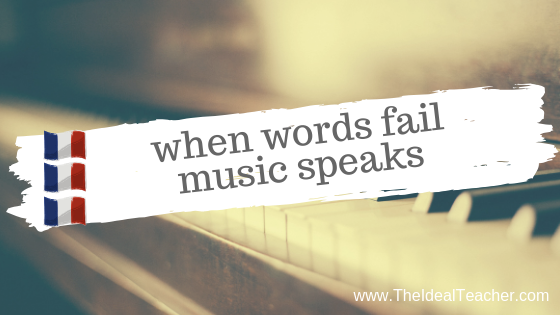 For this reason, I am going to take drastic action and completely stop requesting written and spoken homework (for the most part), due to copying and Google Translate sentences. Getting students to re-do their work or completing it again themselves in a detention hasn’t really helped much. So, instead, I will be giving vocabulary learning homework, cultural research homework for French and German speaking countries, as well as listening tasks and preparation for the next lesson’s activities. 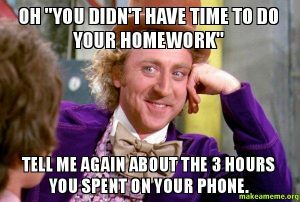 This will take me little or no time to prepare, and should reduce students not completing the homework themselves, but also (hopefully!) 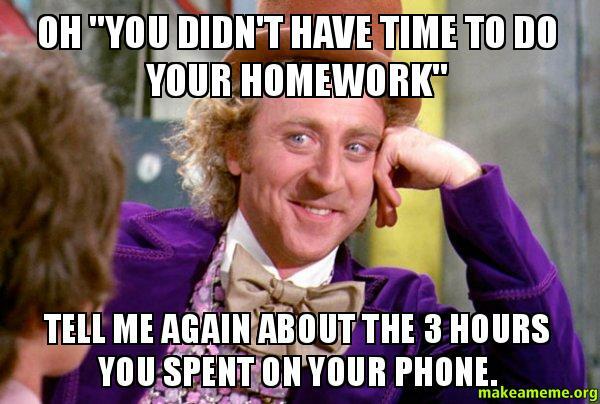 have more impact on all students handing it in on time. 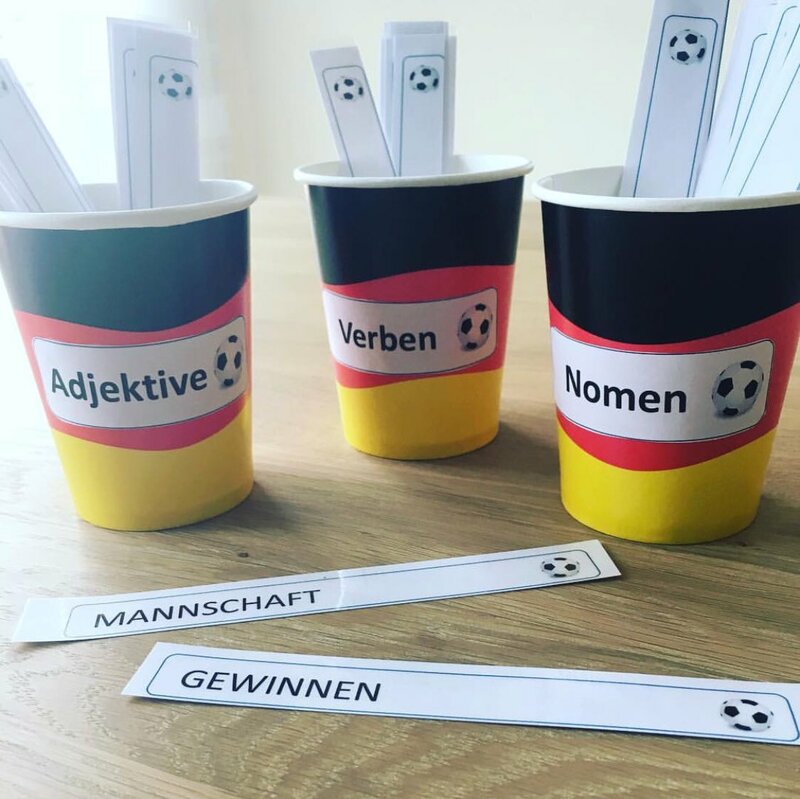 As part of my homework activities for MFL preparations for next year, I have put together a list of twenty No Prep Low Prep Homework Activities for the MFL Classroom. 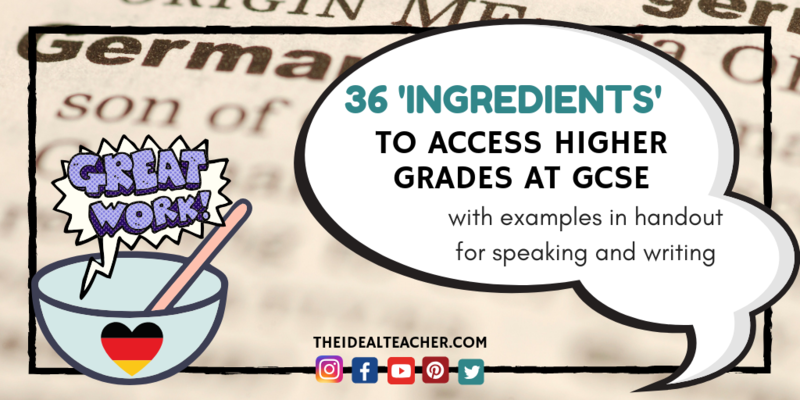 View the resource here to download > Click Here To Download The Low-Prep, No-Prep Homework Resource and begin using it today! It includes lots of low prep homework activities to try out. 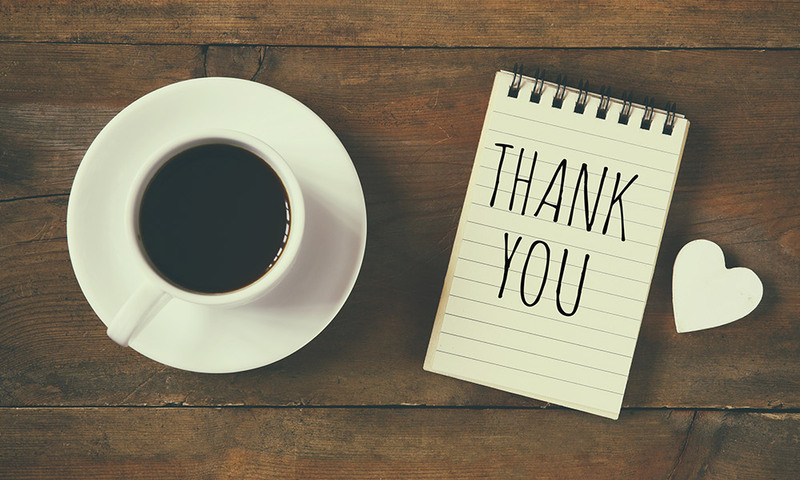 If you download the homework tasks handout, please do leave me a comment and let me know what you think! 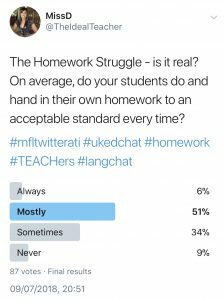 How do you feel about setting homework tasks for your language class students – is it worth it? 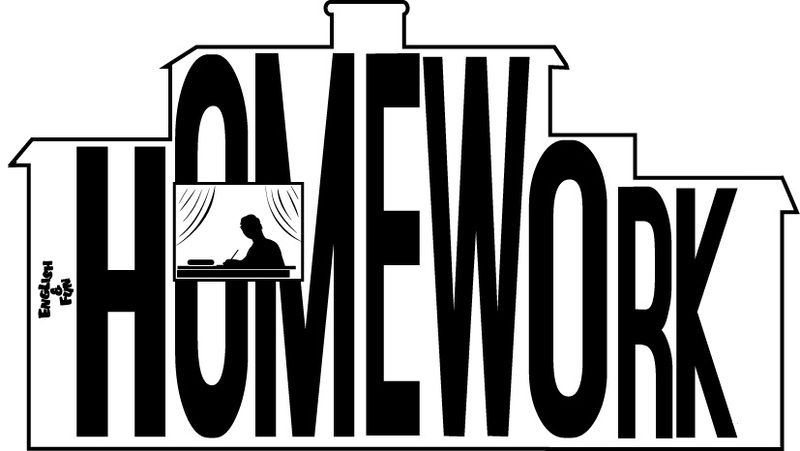 What types of homework do you set?